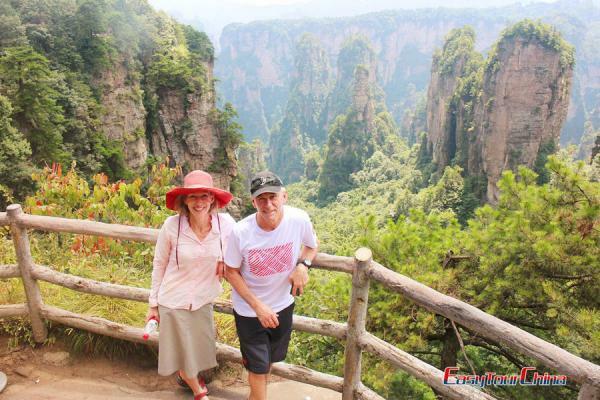 Tangyue Archway group is 6.5 kilometers away from Shenxian County (26km to Tunxi). There are 7 memorial archways queuing on the way. 3 were built in Ming Dynasty, the other 4 in Qing, in a successive order of loyalty, filial piety, women's chastity and charity. Each was built in relation with a moving story and vividly reveals in one way or another the moral values. 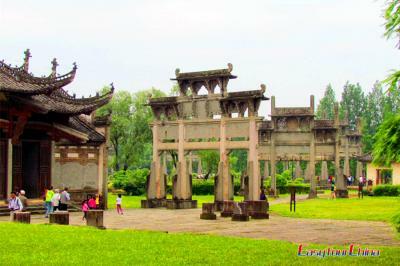 In recent years, it became a popular spot for filming the historical movies. 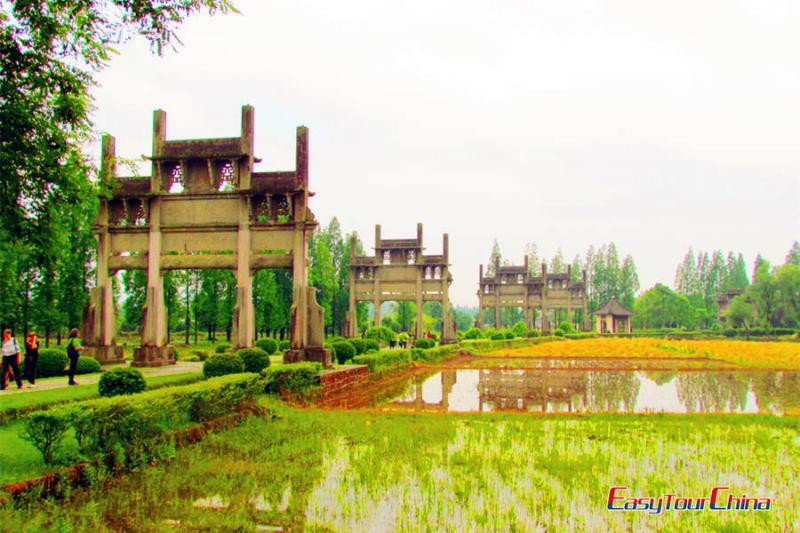 There are many other historic sites in Tangyue as well. 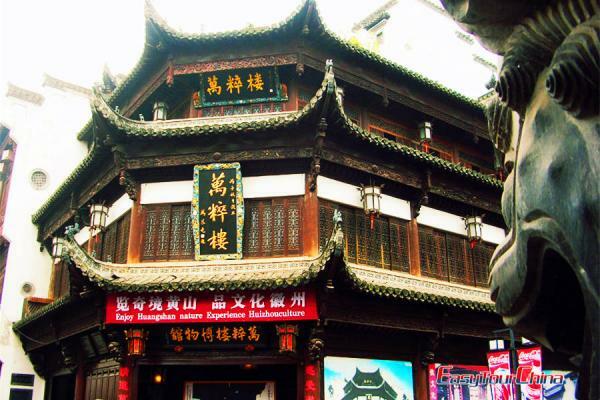 The Temple of the Bao's deceased mother is also known as "Qingzi Temple", commonly called "Female Temple"; the branch temple of the Bao's, is commonly called "Male Temple". Both have been renovated as they were in old days with perfect craftsmanship.